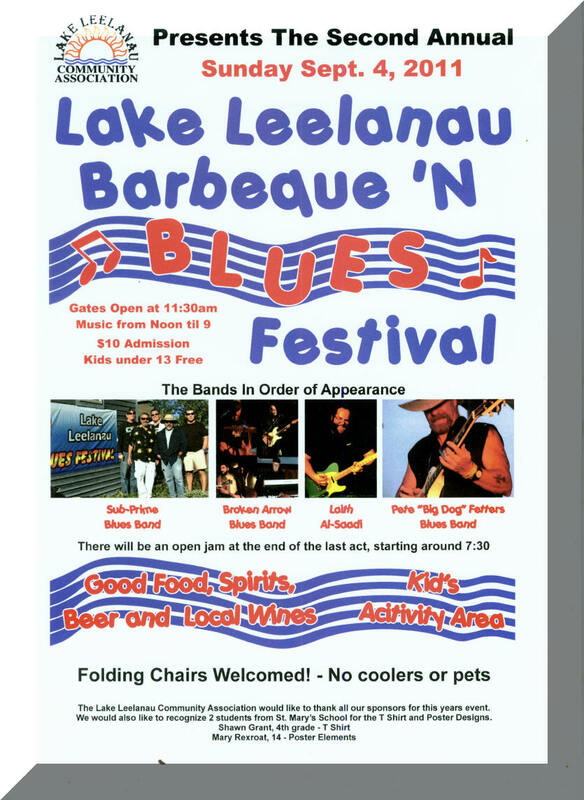 The Lake Leelanau Community Association will host the Lake Leelanau Barbecue & Blues Festival this Sunday (September 4th) from 1 PM – 9 PM. It takes place in the Township Parking Lot on 204 across from NJ’s Grocery. 2011 Artists include the Sub Prime Blues Band, Broken Arrow Blues Band, Laith Al-Saadi , Pete Fetters and others. How much are the tickets to this event? Children? We went last year (me, my wife and our 9 month old. Had a GREAT time. Can’t remember the exact cost, but I think it was $10 or so. Very fun, relaxed and an atmosphere good for anyone, including families. If you’re up there, you should go. I am the organizer of the festival and can tell you that the ticket price is $10 and it is not in front of LeNaro’s this year. I moved it to the Township Parking Lot on 204 across from NJ’s Grocery. We had to do that because of LeNaros being closed and we needed more room this year! Thanks Sheri – I have updated!